Flower forward, flower back, I love to see multiple colors on a white plate. 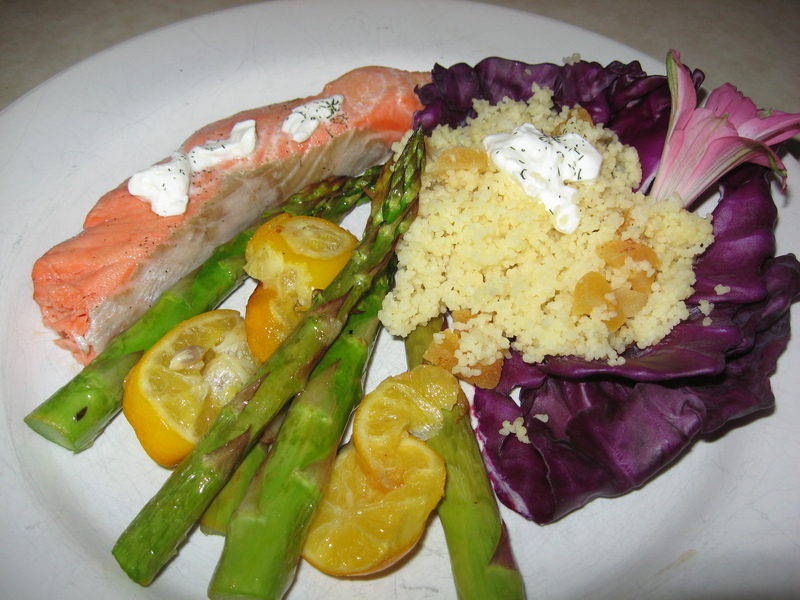 The salmon flew in (not literally of course) today–fresh and not frozen–and it was delicious. The asparagus, not pencil thin but delicious non-the- less, roasted along with sliced Meyers lemons was excellent and so was the couscous with dried apricots. A very Indian raita like flavorful sauce finished it off perfectly. 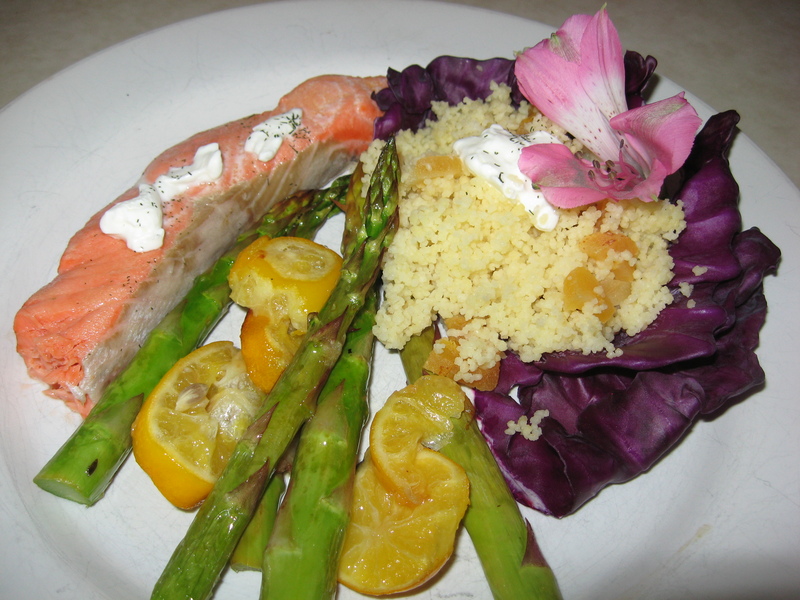 A colorful dish for a fun Valentine’s dinner for 8 is fun to create.